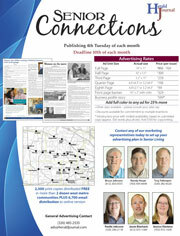 Senior Connections is published just before the beginning of each month. 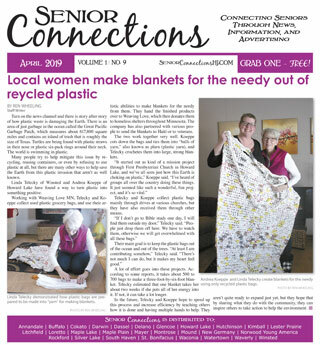 It is distributed FREE at locations accessible to senior citizens in more than two dozen communities west of the Twin Cities, plus more than 6,700 email notifications are sent when the online version goes live. Ad deadline is the 10th of each month. For more information, or to place an ad, email us here or call 320-485-2535.